Talk about a cuteness overload! We've gathered four of our favorite images highlighting some furry friends here on CWD. 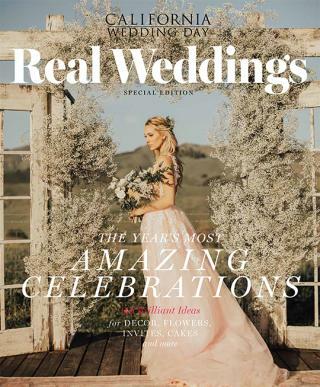 From doggie bowties to some beautiful polo perfection, get ready to smile from ear to ear and gain some inspiration for how to incorporate your four-legged friends into your wedding day. Look At That Face: The cutest furry friend made for the best wedding companion and a sunset cotton candy sky served as the perfect backdrop for this dreamy styled shoot at Quail Ranch carried out by Wheat and Honey Events and Kimberlee Miller Photography. We can't help but smile when we look at this sweet shoot. Equine Elegance: Puppies may be the first thing that come to mind when you think of wedding companions, but this romantic styled shoot at the Cottages at Polo Run featured a different four-legged friend. Inspired by the chic fashion of a polo match, Jane Alexandra Events added hints of luxury to every element. 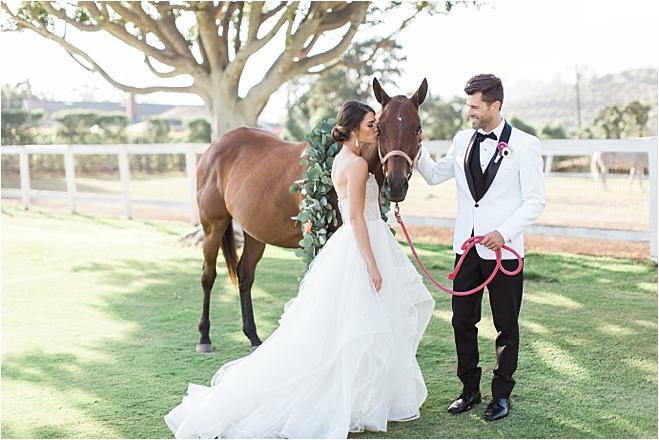 A gorgeous, posh design paired with that amazing Hayley Paige gown, lovely floral design and an adorable horse? Gah! 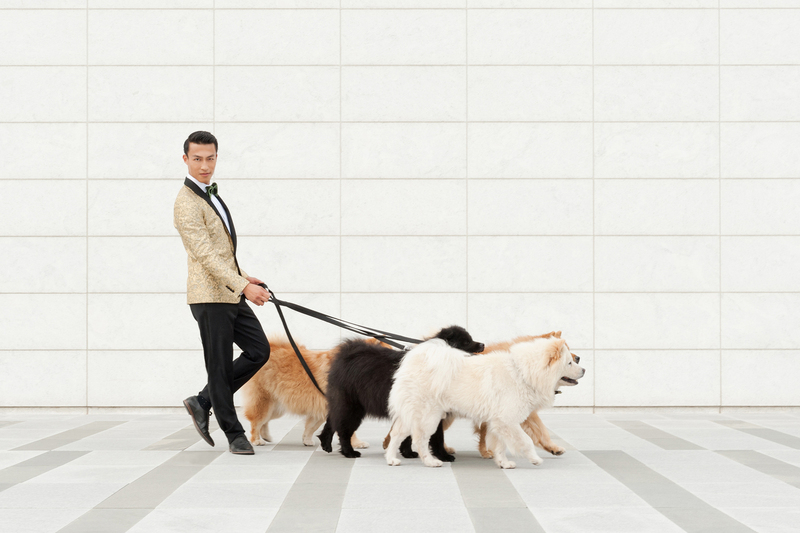 How Dapper: Creative Director Wendy Lee of Asian Fusion Weddings decided to incorporate Chow Chows, a dog breed originating from northern China into an amazing Chinese New Year styled shoot celebrating the Year of the Dog. The adorable puppies sported bowties from El Cachorrocouture to complete their Lunar New Year looks- How handsome! 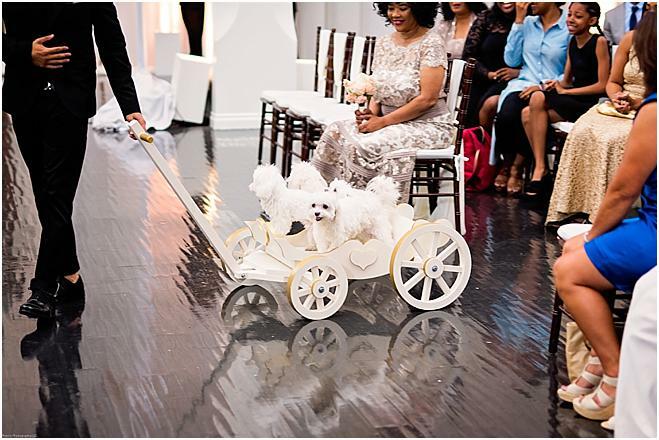 The Royal Treatment: Ray J and Princess Love had their dogs pulled down the aisle in their own little wagon complete with heart details, the perfect addition to their gorgeous ceremony at Vibiana. Would you just look at that little smile? See more from this real wedding here.